(b) a talk Going Beyond Speculation: A Scientific Look at the Pentagon Evidence by David Chandler. (c) a paper The Pentagon Event: The Honegger Hypothesis Refuted by authors Victoria Ashley, David Chandler, Jonathan H. Cole, Jim Hoffman, Ken Jenkins, Frank Legge, and John D. Wyndham. Except for Victoria Ashley (Scholars for 9/11 Truth and Justice), all of the foregoing individuals are members of Scientists for 9/11 Truth. Each year around the September 11th anniversary of the 9/11 event the Northern California 9/11 Truth Alliance hosts a Film Festival. The 2015 Festival in Oakland, California included a video by Ken Jenkins that presented the testimonies of Pentagon eyewitnesses given to news media shortly after the event. The narrator points out that, in an event seen by multiple witnesses, the most accurate description of the event is obtained by examining “the common threads and recurring words” used by the witnesses. 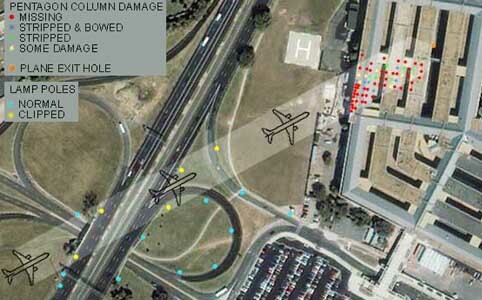 The observation common to the great majority of the Pentagon witness testimonies given in the video is that on 9/11 a large plane, identified by some as a Boeing 757, flew toward and impacted the Pentagon west wall. This is a talk on the Pentagon by David Chandler that was also given at the 2015 Film Festival in Oakland. 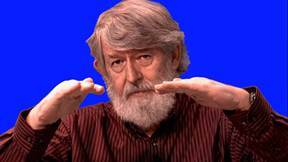 The talk was video-taped by Ken Jenkins who added supporting material before presenting it to the public along with his Pentagon Plane Puzzle video. 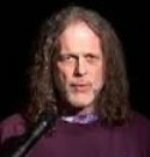 Chandler’s talk begins at 26:40 minutes in the video with a review of World Trade Center research that points to the controlled demolition of three buildings, the Twin Towers (WTC1/2) and Building 7 (WTC7) on September 11, 2001. Chandler then provides a compelling overview of the Pentagon evidence that points to impact by a large plane, a Boeing 757-200 and most probably flight AA 77. Chandler’s emphasis is on use of the scientific method to draw the right conclusions from the eyewitness and physical evidence. Plane Damage Path: Clipped tree, downed light poles, trailer, concrete wall gouges, mpact hole, broken, bent and abraded columns, C ring exit hole, Debris strewn in A&E driveway including plane parts. Honegger’s hypothesis is that no plane impacted the Pentagon on September 11, 2001, and that pre-planted explosives caused all the deaths and damage. Honegger also postulates that a large “white” plane was destroyed outside the Pentagon west wall without causing any damage to the wall. The authors of the above paper refute Honegger’s hypothesis and show that the physical, eyewitness, radar, and FDR data, plus other data, all support impact by a large silver plane, a Boeing 757, and most probably American Airlines Flight 77, as the main cause of all the deaths and damage.